I handle all types of personal injury claims including complex catastrophic cases involving head injuries, spinal injuries and amputations. My niche area is cases involving catastrophic injuries resulting from motorcycle accidents. I have also developed a particular interest in child injury and amputation claims. I read Law at university and completed the Legal Practice Course at the College of Law, Guildford, qualifying as a solicitor in 2007. I joined Barlow Robbins in October 2012, having previously worked at two other large law firms. I am a Senior Litigator for APIL (Association of Personal Injury Lawyers). I am fluent in Italian although English is my mother tongue. Outside of work I enjoy cycling, theatre and reading a good book. "I am a barrister and I have been instructed by Maria Mingoia on five substantial cases in the last year. They involve vulnerable people who were badly injured in catastrophic accidents. Liability has been contested and there are pre-existing health and social issues. Maria is a sensible and compassionate solicitor. 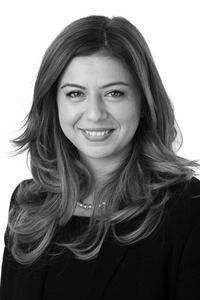 She understands the needs of her clients and has a realistic and pragmatic attitude to litigation. Her cases are properly prepared and her intelligent hard work will be the key to successful outcomes for her clients. She is a pleasure to work with."